The small town of Flowery Branch, GA is just as beautiful as its name! Just a short drive from Atlanta and located right on Lake Lanier, Flowery Branch has a nostalgic feel to it as well as a thriving downtown area. Its proximity to big city life as well as marinas and parks make it an attractive place to live no matter what type of person you are. Here at Better Decks and Fences, we look to improve the quality of life for Flowery Branch residents by offering professional and reliable fence construction and installation services. 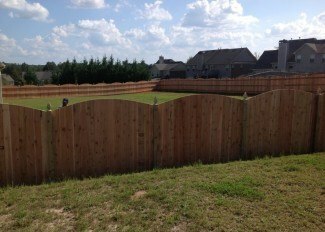 Better Decks and Fences has been providing residential and commercial fencing in the Flowery Branch area for more than 20 years. We fully train our staff, who are all licensed and insured, and we pride ourselves on using top of the line materials and equipment for your property. Learn more about how a secure, private and perhaps most of all, aesthetically pleasing fence can help take your home or business to the next level. 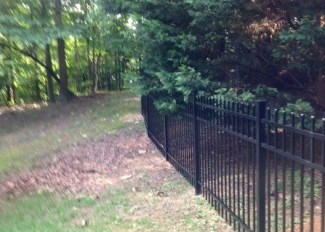 There are so many benefits to installing a fence at your home or business. A fence provides security and privacy, only allowing those you want on your property or at certain times of day or night. A fence can provide you with peace of mind and a feeling of solitude when relaxing, playing, or working outdoors. It sets important safety boundaries, especially for small children and pets. 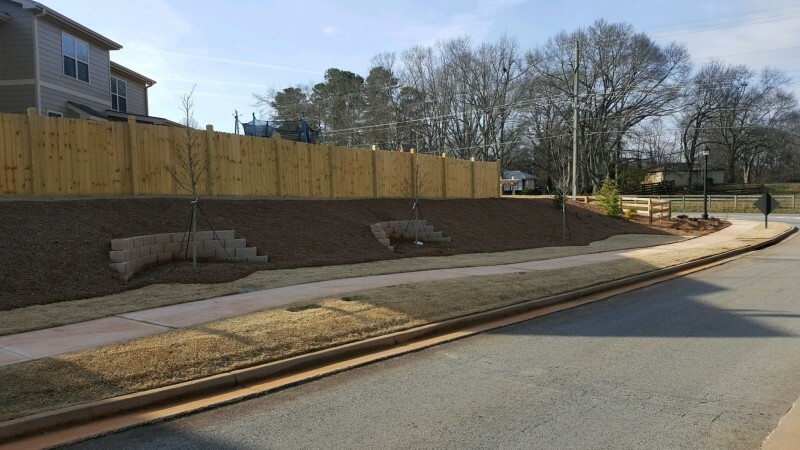 Installing a fence in Flowery Branch can help set property lines and can also improve curb appeal and improve the overall landscaping and look of your property. Whether your business is large or small, Better Decks and Fencing can take care of all your commercial fencing needs in Flowery Branch. Commercial fencing provides the utmost in security, restricting access and providing you with control over who is able to enter and when. 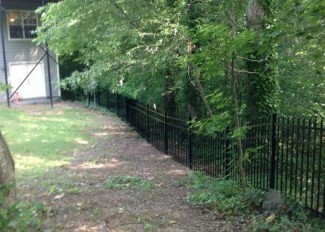 With so many people coming and going at your business every day, a commercial fence is vital for protection and safety. Better Decks and Fences also offers ornamental fencing for a wonderful addition to your commercial property. We’ll guide you through the process of selecting the right fence for your business and work with you every step of the way to make your vision a reality! Safety and security are two of the top reasons for installing residential fencing, but there are many other pros as well. There’s nothing like the peace of mind you’ll have knowing your little ones and pets can’t wander away from your home. 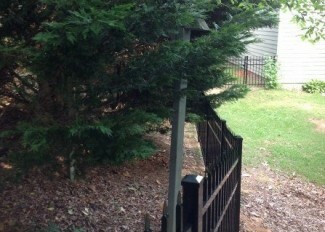 Residential fencing also limits who can see into your yard or home. Fencing protects your property from harsh weather, such as strong winds or floods. 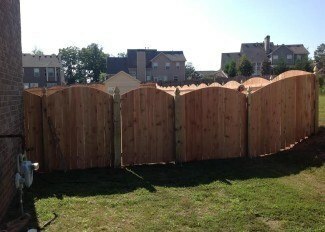 Fences can also cut down on noise from neighbors, leaving you with a quieter and more relaxed atmosphere. Finally, a well designed and installed fence can increase your property value which is especially beneficial when selling a home. Our team of fence experts at Better Decks and Fences can help you choose the right fence for your needs and budget. 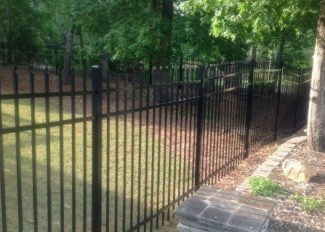 Better Decks and Fences offers a variety of fence options to Flowery Branch home and business owners. We specialize in wooden fencing, with a large variety of types and styles to choose from including positive and negative scallop, shadow box, picket, split rail, and more. From oak to cedar to redwood and a number of different stains to choose from, the possibilities are endless! When you choose a fence from us, you can rest assured that we are only using the highest quality materials for the building and installation process. Our .40 MCQ treated posts are environmentally friendly and completely safe for family and pets. By choosing MCQ (micronized copper wood), we are helping ensure that the wood retains its beautiful, natural color. 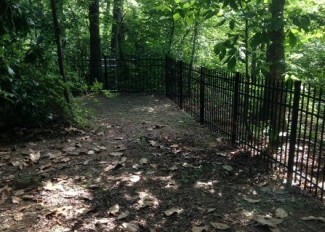 We also offer chain link, aluminum, and steel fencing for durability and strength. Check out our photo gallery and view projects from Flowery Branch businesses and homeowners like you! Better Decks and Fences has been providing expert fence construction and installation services to Flowery Branch homeowners and businesses since 1996. 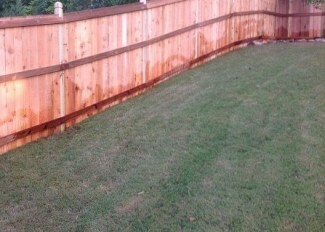 We know that installing a new fence is an investment and we don’t take that lightly. That’s why we offer an extremely thorough and comprehensive warranty policy to protect you and your investment. Once your fence is installed, we’ll inspect the entire project and walk through everything with you. Ready to schedule a free quote? There’s no obligation and we are available to meet you at your convenience! Schedule your estimate online or give us a call at (770) 923-8837. Don’t forget to follow us on Facebook to read reviews, view photos and more! Better Decks and Fences happily serves Flowery Branch as well as Woodbridge, Oakwood, Chestnut Mountain, and the surrounding area. We can’t wait to meet you and provide you with a WOW experience!